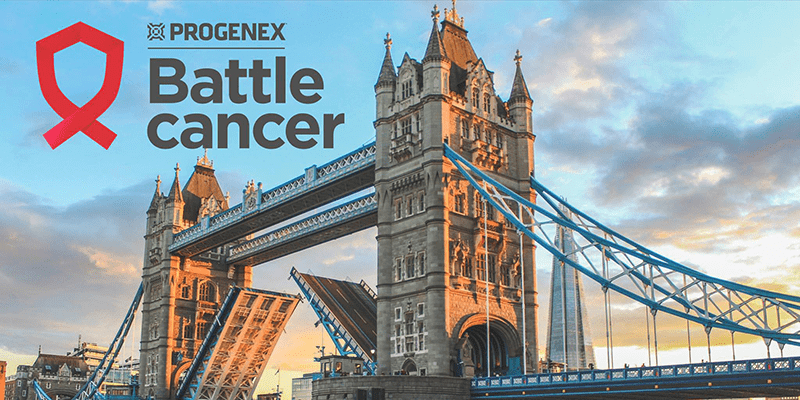 Battle Cancer 2018 kicks off on Saturday 20th October. Are you ready? Battle Cancer is a really accessible functional fitness competition that raises money for the UK cancer society. It combines the passion for fitness with remembering the people you lost or the ones you supported in their struggle with cancer. The idea for Battle Cancer was born as a result of personal stories, love for fitness and desire to help. The event owners are powerlifter Scott Britton and CrossFit enthusiast Peter Williams, two friends who’s lives have been repeatedly disrupted by the deadly disease. Olympia London is more than a live-event space. It’s a place of inspiration. Against a backdrop of grand Victorian architecture, the space inspires engagement and enjoyment. In 2018 Olympia London will be the first home of Battle Cancer London! There are many different divisions. Learn more now. Battle Cancer events are not just for those competing. We rely on the kindness of the fitness community to help make our events happen. Can you give up your time for one day to become an integral member of the Battle Cancer Team? Our volunteers help out with judging on the competition floor, organising the huge number of athletes and making up our essential logistics team ensuring the event runs to time and plan. Donating your time is directly helping Battle Cancer take place. That’s why we need you, incredible people. We don’t ask for previous event experience, although that’s brilliant. But why not get that first experience whilst giving back to charity? To inspire, support and unite people with one goal: kicking cancer into the dust. Battle Cancer was created in the memory of family and friends, those that have fought and won, or those we have lost. Battle hard in fitness and fundraise all year round to make a difference for people all over the UK. Battle Cancer is and always will be accessible and open. No matter your skill level, you can raise awareness and fight hard with pride. Battle Cancer is your way to help kick cancer into the dust. Together we can start a movement to help those across the UK, to inspire and support them in the darkest moments. Together we will Battle Cancer and we will win. “As a kid I took part in more funerals than weddings, while growing up” says Scott who had a long list of relatives or family friends that lost their battle with cancer along the way. But it was around Christmas 2015, when Scott’s wife lost her grandfather after a long struggle with cancer, that really sparked the desire to make a change. In the following year, Pete’s father was also fighting cancer, and luckily, he managed to survive. Both cases had the support of McMillan, a foundation that offers support to people affected by cancer. After witnessing both the loss and the victory with cancer, in 2016 Scott had the idea of breaking a Guinness world record for the most amount of weight deadlifted, for charity. The goal became to deadlift the Titanic. Scott shared the idea with a few of his gym buddies, and soon it became viral. They managed to enter the Guinness World Records and raised a total of 30 000 pounds that went to cancer charities in the UK. In September 2016, Scott turned to functional fitness, and managed to organize a small CrossFit competition. Inspired by people’s involvement he decided to make it bigger. The result was the 2017 Battle Cancer, organized in the Victoria Warehouse in Manchester, that managed to raise £64,000. Today, Battle Cancer is the world’s only 100% non-profit functional fitness event, raising money for the UK cancer society.